Churches Together in Chandler's Ford (CTCF) is an ecumenical grouping of churches in the Chandler's Ford and Valley Park areas in the south of Hampshire. 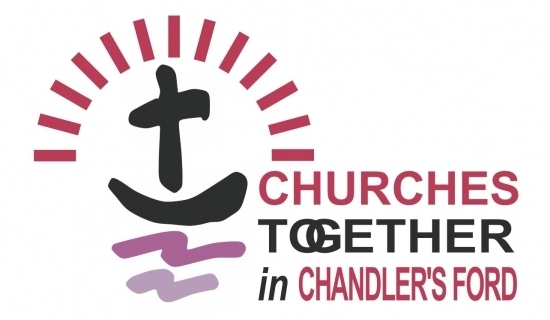 The purpose of this website is to introduce you to these churches and provide details of events that are being arranged by or in conjunction with CTCF. Feel free to explore the website to find out about the churches in our area and to see what's going on. There are many different Christian churches and denominations, but all have the same basic calling: to worship God, to share the good news about Jesus Christ and to work for the good of all people. So they often need to work together - and to co-ordinate the work they each do separately. When they do, they are acting as "Churches Together". But being Churches Together means more than that. It means commitment by each church and denomination to deepen its fellowship with the others, and - without losing what makes each interestingly different - to work with them towards a greater visible unity. "That all of them may be one, Father, just as you are in me and I am in you. May they also be in us so that the world may believe that you have sent me". John chapter 17 verse 21. "A fellowship of churches which confess the Lord Jesus Christ as God and Saviour according to the scriptures, and therefore seek to fulfil together their common calling to the glory of the one God, Father, Son and Holy Spirit."